Disney World first made that wish come true at the 2013 Epcot Flower & Garden Festival with the Pineapple Promenade booth serving up Dole Whip with Siesta Key spiced rum. 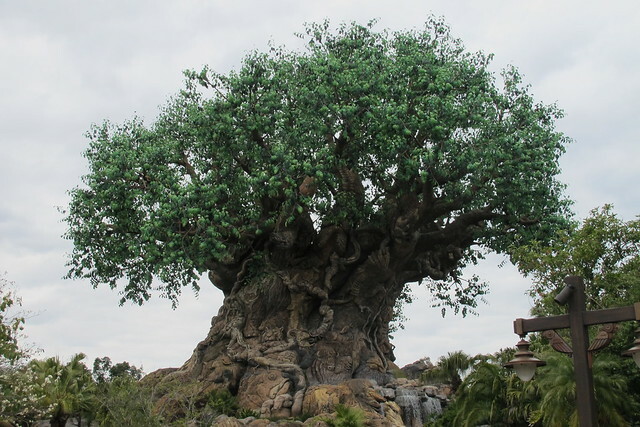 Last year they followed up with versions with Parrot Bay coconut rum and Myers’s dark rum, and those two offerings soon after found a permanent home at Disney’s Animal Kingdom in Orlando. 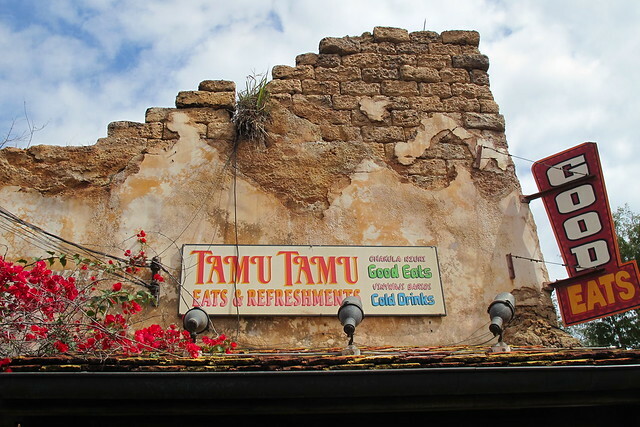 Tamu Tamu Refreshments, a counter-service spot located in the Africa section of the park, is the only place at Disney World where you can get spiked Dole Whip all year round. 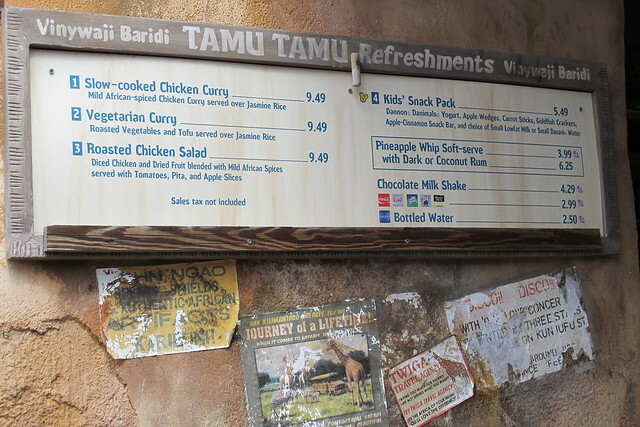 Apparently, “Tamu Tamu” is the Swahili equivalent of “Yum Yum,” so that’s appropriate. 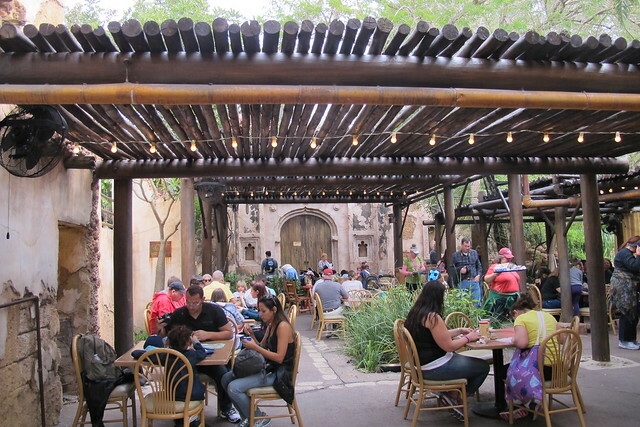 Here you’ll find a somewhat shaded courtyard full of tables. I’d seen this described as a quiet, hidden area to sit down but the secret must be out as there was no shortage of people the Saturday we were there. 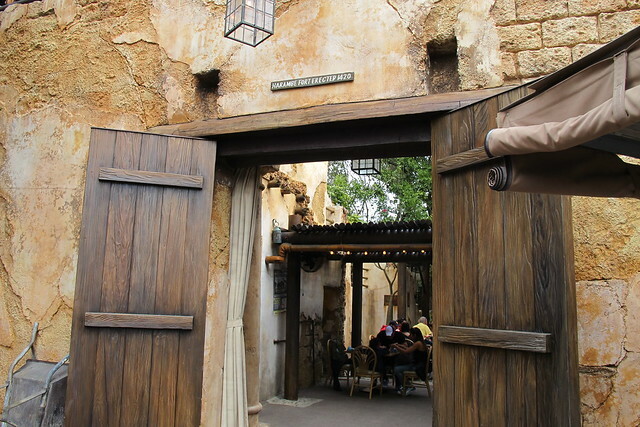 Now, on to the part we really care about: Dole Whip with rum! Technically it’s billed as pineapple whip soft serve ($6.25) but it tastes the same although the texture is softer and more like a Frosty from Wendy’s. The serving size is on the petite side if you’re used to Dole Whip floats, and there’s not all that much rum in there (the cast member guessed less than a shot), but it’s a fun novelty. I would get the coconut rum version again. 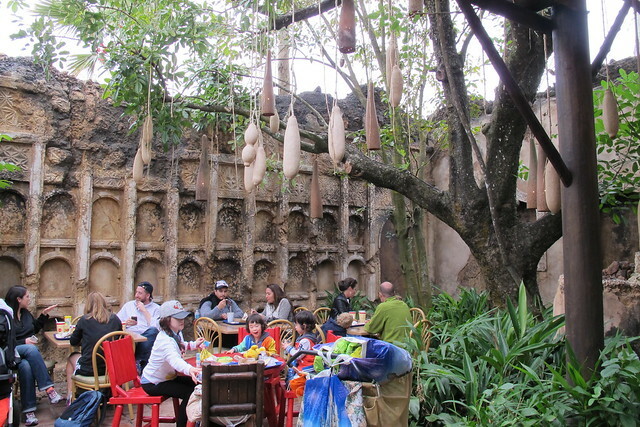 No alcohol is served at Disneyland (except at Club 33), so we’ll probably never see anything like this at the Dole Whip stand at the Enchanted Tiki Room. However, Dole Whip can also be found at Menchie’s Frozen Yogurt and Whipp’d, so I think I’ve got to start spiking it on my own. 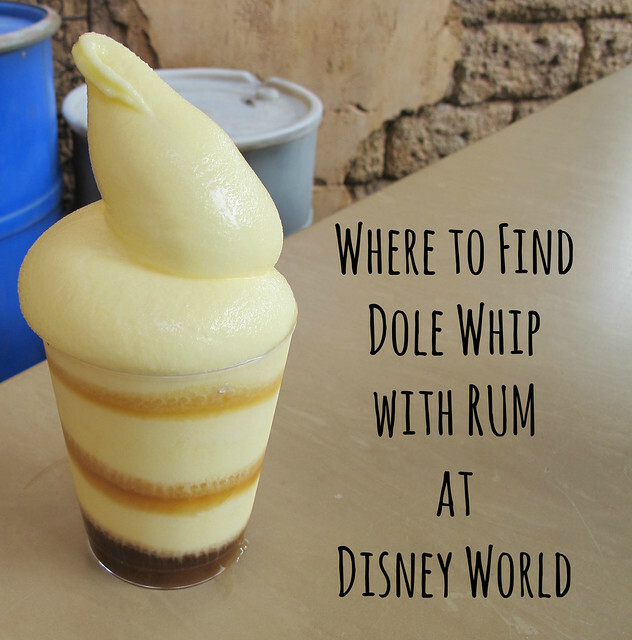 What rum would you pair with Dole Whip? I like how they swirled the rum into the whip. Great presentation. Thanks for posting ! 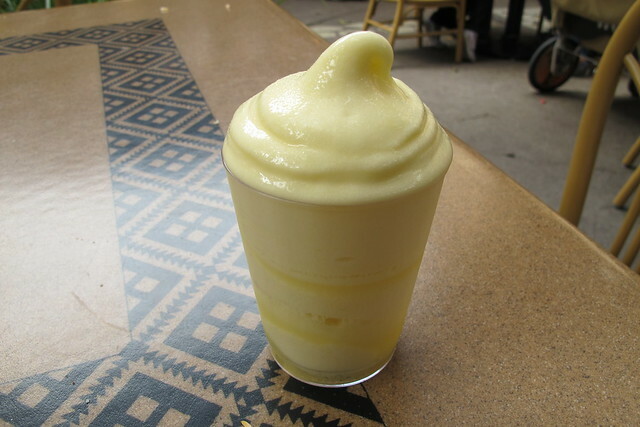 That Dole Whip with Rum looks soooo good! It’s 7:30 am and I want one now!!! Hula Girls Shave Ice in Huntington Beach has Dole Whip, real shave ice and it’s tiki themed! Awesome! 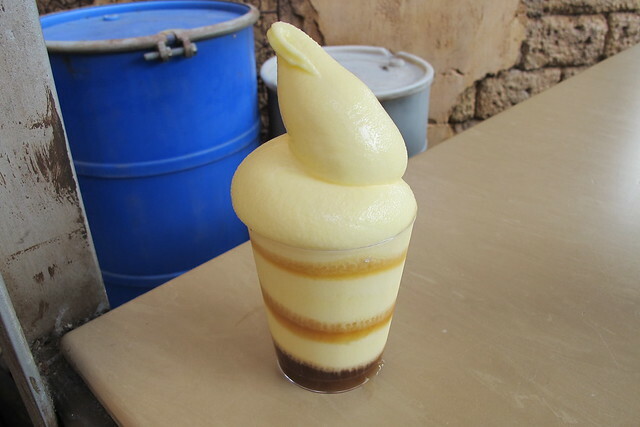 Funny how Dole Whip used to be so hard to find but now more and more places have it. We’re going this May, and this is for sure on our list of treats. 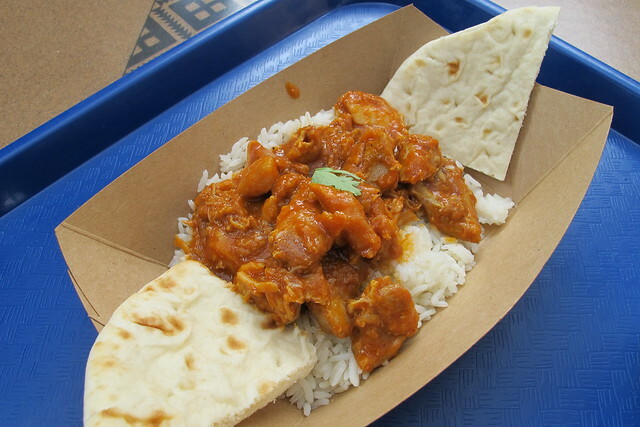 I can’t wait to taste it with the coconut rum. Mmmm. Going next month! can’t wait to try it! I hope you enjoy it, Alexa! I’ll be there in 3 days. Thank you for cluing me in on this.